When there are many photos in the hard disk, it is important to rearrange in order to easily find them when needed. Photo File Organizer can help the user. Renaming: The program automatically renames the photos in two ways. It suggests the date when the picture was taken and the second one is the label of the camera that was used. The user can choose between these two. Managing: Photo File Organizer also offers the user the possibility to manage his photos. He can for instance copy them in a folder or other storages. If there are duplicates, it can automatically detect and delete them. Previewing: The software also enables the user to preview images in order to ensure if he has placed the right one in the right place. It can also show him the format of each picture such as JPG and RAW. Photo File Organizer's interface is available in different languages. This is an easy to use program. 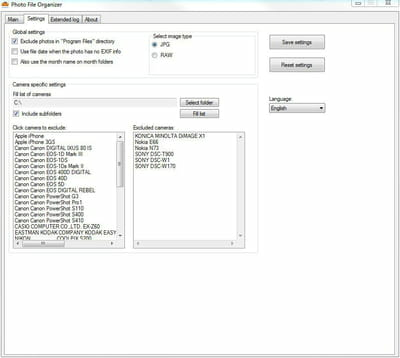 The user can even copy and place pictures in a subfolder. Latest update on November 16, 2016 at 07:09 PM.